"This company is the absolute BEST in painting for your home or business!!! Young Park is a master painter who takes a lot of pride in his work. He takes the extra time to do the proper preparation work which is so important for a high quality and long lasting paint job. The finish work when he's done is beautiful. His attention to detail, neatness and cleanliness is what makes him the best painter anywhere! It is an absolute pleasure to work with Young and his team. 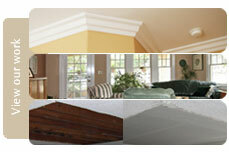 He has performed many paint jobs for our family and my customers. Everyone is always so pleased with his work and his prices are very fair. He gave us excellent services for my house painting. All of his crews did outstanding work for a reasonable price. Thanks for providing such a great service"
"For my house painting, they were very professional and very fairly-priced. respects, and completed on schedule in a truly professional manner. completion of the whole job. He truly provides a very reliable service." priced, personable, honest and very dependable." situation at a very fair price. Young and his Crew are very friendly. painting contractor! Please keep up the terrific work. I really appreciate it." use your service again and will definitely tell everyone I know about you." the job and took care of my medical need. Thanks, Young." "Young Park did an absolute awesome job on our house. For over twenty years, the outside of our house has always looked the same. Now it looks brand new! A definite upgrade. He is so passionate about his work, professional but extremely friendly. Our family definitely recommends him! Thank you, Young!." damage in most of my house. What a great experience to have hired Young. truly incredible service! Keep up the fantastic work!" ©2018 PAINTJOB.COM® All rights reserved.